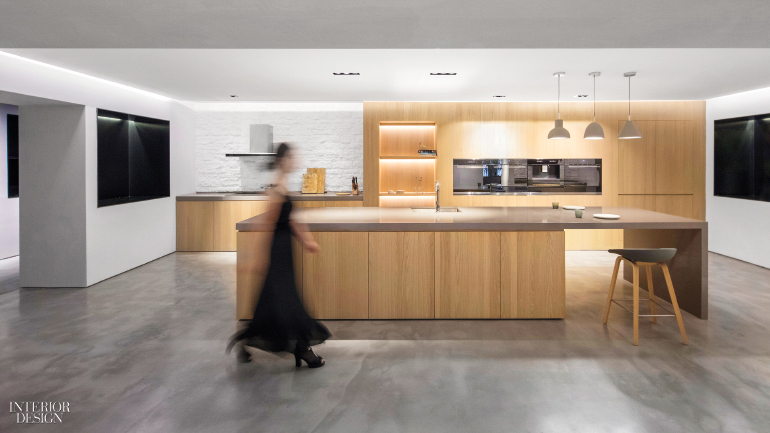 With a decade of experience in hospitality, urban planning, and exhibition design, both in her native Hong Kong and in Canada, where she studied architecture, Christina Luk has put her cross-disciplinary sensibility on display—alongside forward-thinking kitchen appliances—at a showroom at the . A 10,800-square-foot floor plate there now contains what Luk calls a “culinary village,” a compound of small structures including four housing “ideal kitchens.” Each has a theme: minimal white, total black, rustic country, and modern American. 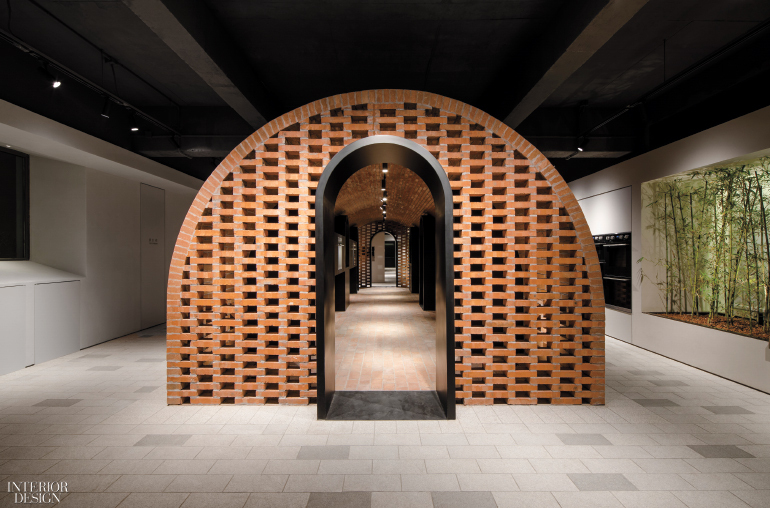 A redbrick gallery shaped like a Quonset hut leads visitors through the evolution of oven technology. The neighboring cooking classroom, resembling a kitchen in a private residence, allows them to whip up a dish of their own on fully functional test appliances. 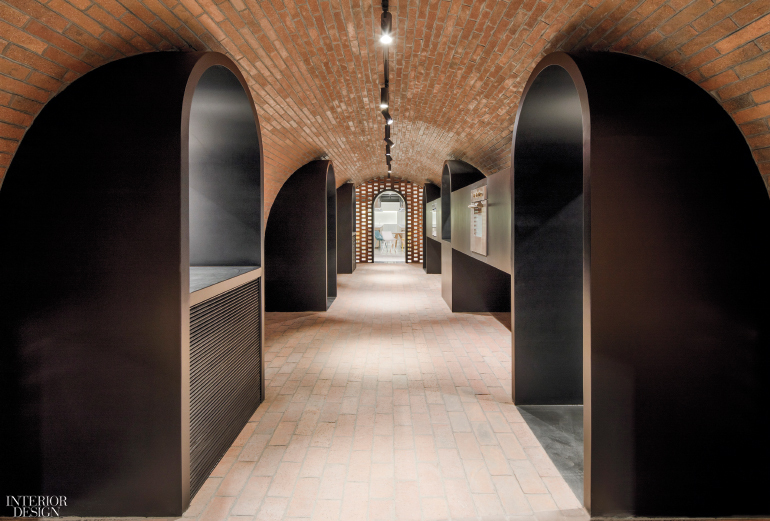 Arda Co. by Lukstudio in Jia, China. Photography by PROJECT/ION/Motion Picture Production. Showroom access is via an elegant white-box gallery. A path of stepping stones leads to a tunnel with a witty water feature incorporating dishwasher jets. “Bringing together water, daylight, and plants, the series of semi-enclosed spaces is organized to evoke memories of wandering in a village,” she says. If that wandering whets the appetite, never fear: the VIP lounge offers fine dining, the cuisine seasoned with herbs grown in the exterior courtyard. Project Team: Leo Wang; Yiye Lin; Alba Beroiz Blazquez; Jinhong Cai; Ray Ou; Marcello Chiado Rana; Yiren Ding; Kun Ma. Arda Co. by Lukstudio in Jia, China. Photography by Peter Dixie/ Lotan Architectural Photography.